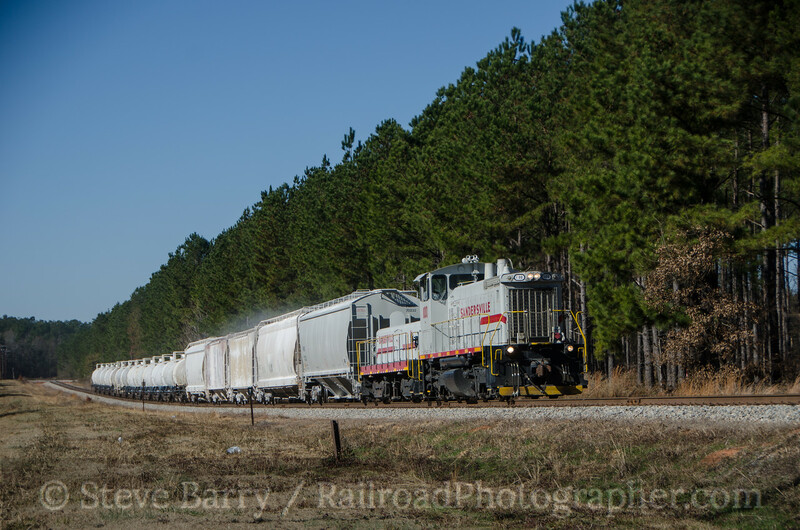 The southern U.S. is just full of classic shortline railroads. Over the past few years I've had the chance to make several visits southward and have visited such classics as the Pickens Railroad, the Georgia Central, and more. 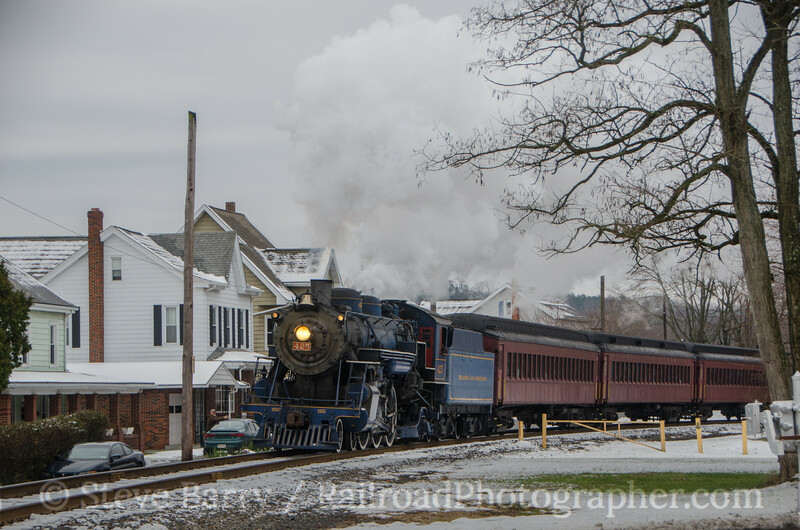 This past December I spent the better part of a full day on each of three railroads and we'll do a mini-series here in the blog on these lines. 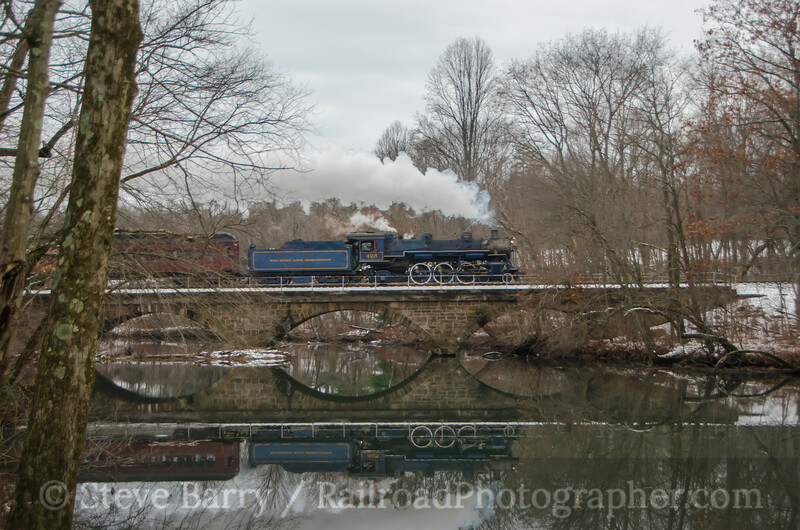 First up is the Sandersville Railroad in Georgia. The Sandersville was chartered in 1893 as a subsidiary of the Central of Georgia. 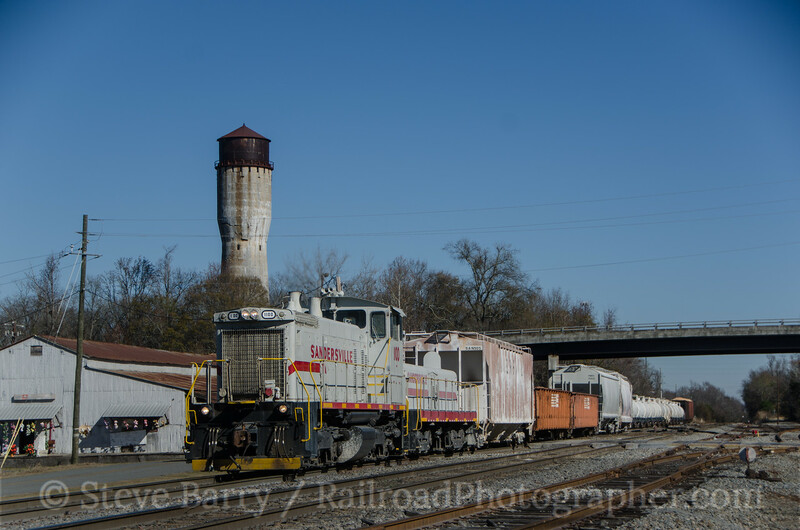 Nicknamed "The Kaolin Road," the prime commodity held by the Sandersville is clay; many of the covered hopper cars used in the operation are owned by the Sandersville. The line extends about five miles northwest of its namesake town to serve Imerys Pigments & Additives and the Kentucky-Tennessee Clay Company. It also extends about two miles south of town to the interchange with Norfolk Southern in Tennille. I was visiting the area on December 11 along with my brother Bruce. We were coming down from Macon, Ga., where we had looked for something running on the Georgia Central -- there wasn't anything. We decided to regroup and hit the Sandersville. As we approached the north end of the line, we spotted SW1500 No. 1100 and a slug working at Imerys Pigments & Additives. Figuring it wouldn't be long before he came out, we waited. 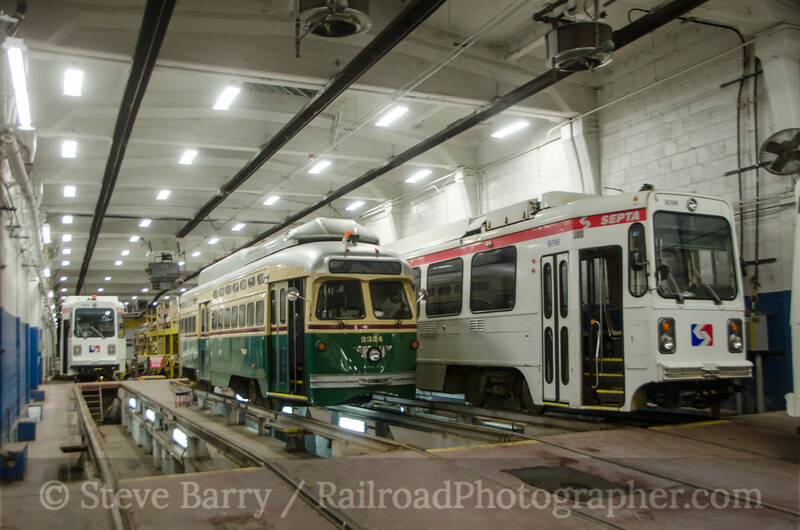 The wait wasn't long as the switchers came out with one car in tow (top photo). Work on this end of the line was not done, however, as the train backed into the adjacent Kentucky-Tennessee Clay Company to do a bit of work. 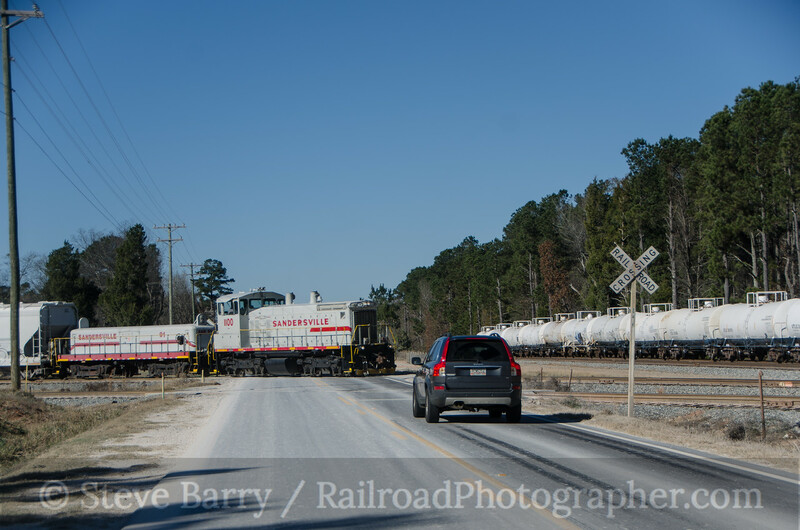 This didn't take long, either, and after shuffling cars at the small yard adjacent to the two industries, the locomotives continued on their way, now with a sizable train, to Sandersville. 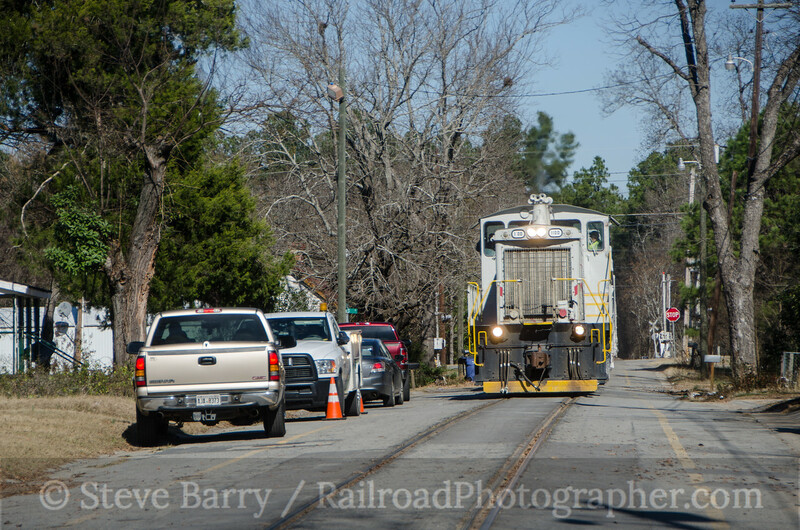 As the train gets closer to downtown Sandersville, it passes through a residential section of the town. And when I say it passes through, I mean it passes through... Right down the middle of the street. 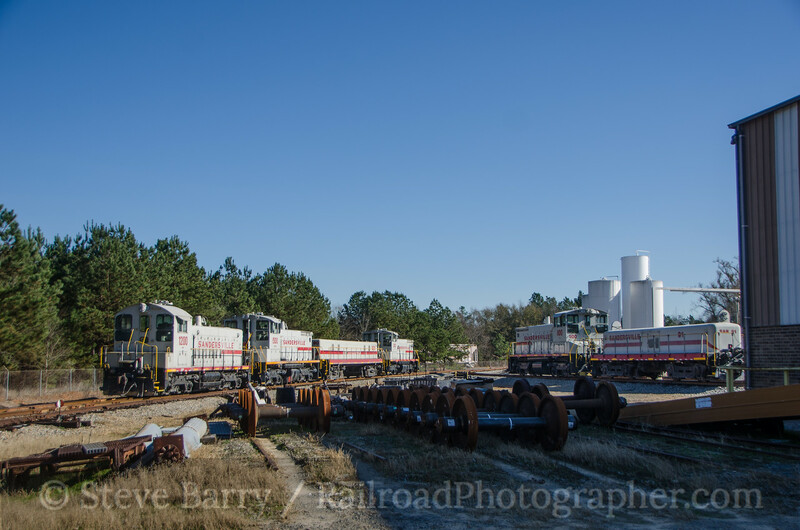 After passing the shop complex in downtown Sandersville, the train paused at the yard on the southeast side of town to shuffle more cars. 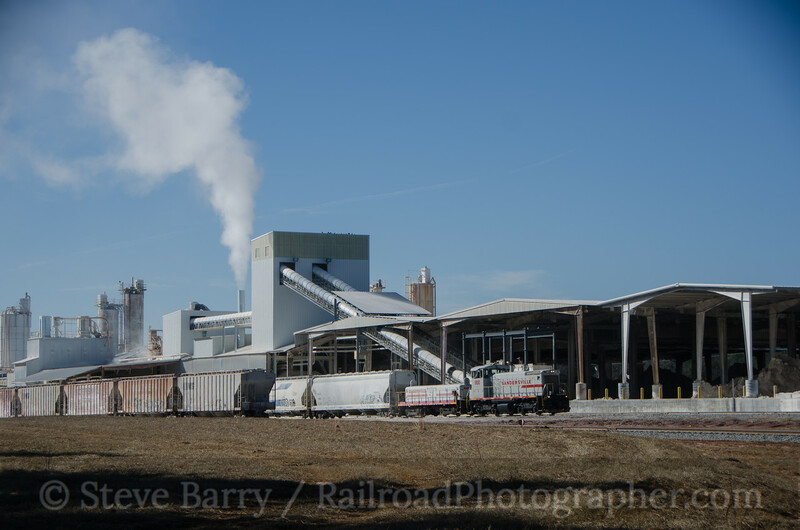 This yard is adjacent to the railroad's bulk transfer facility, as well as Weyerhauser and a short branch serving a plethora of clay and pigment facilities. 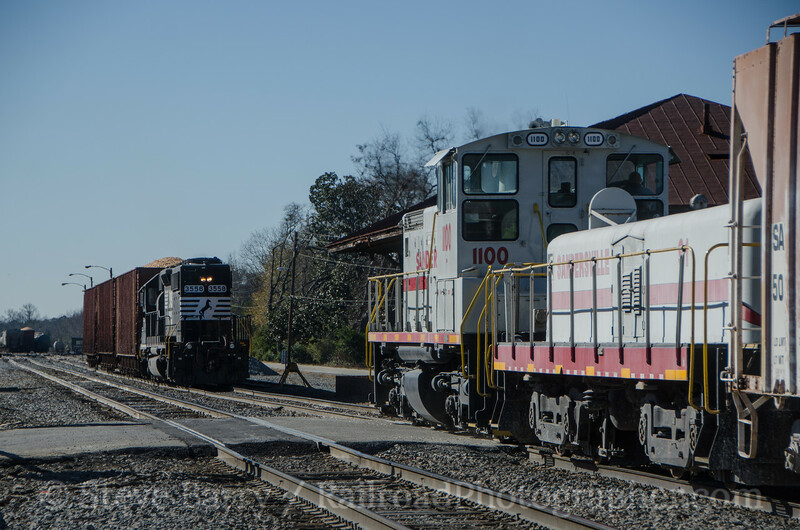 Once the switching was done, the train proceeded on to the Norfolk Southern interchange at Tennille. 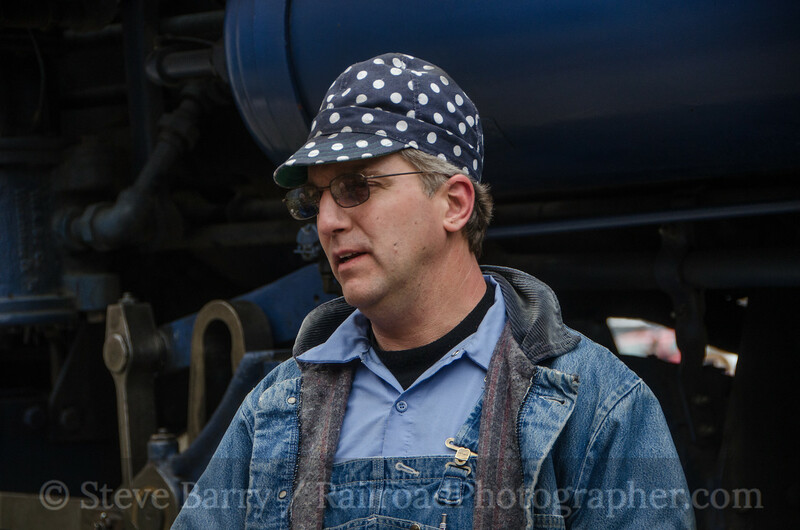 Norfolk Souther was also in town doing switching, occupying the track the Sandersville train needed to use. NS quickly backed into the yard and changed tracks so the interchange traffic could come in. Once the interchange was done, we headed back to the Sandersville shop, where the the railroad's offices are also located. We entered the foyer and knocked on the door. 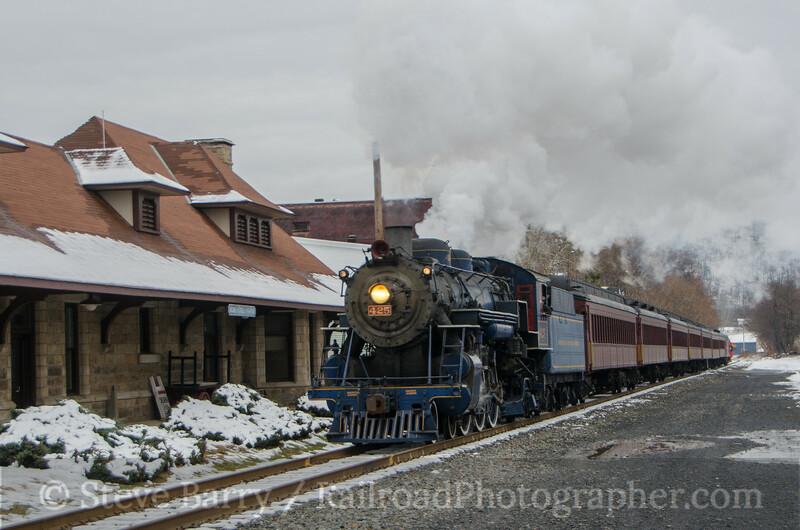 Immediately we were waved into the office where David Ray, the railroad's general superintendent, introduced himself. He confirmed what we had feared -- the last train of the day was now in the yard and finished. However, he did offer us a tour of the yard and shop, which we eagerly accepted. We got in our car and followed him back into the shop area. Once there, he pulled out a couple of Sandersville ball caps and handed them to us. Thank you! As we toured we got the complete rundown -- the railroad has three crews that come on each morning, staggered one hour apart. 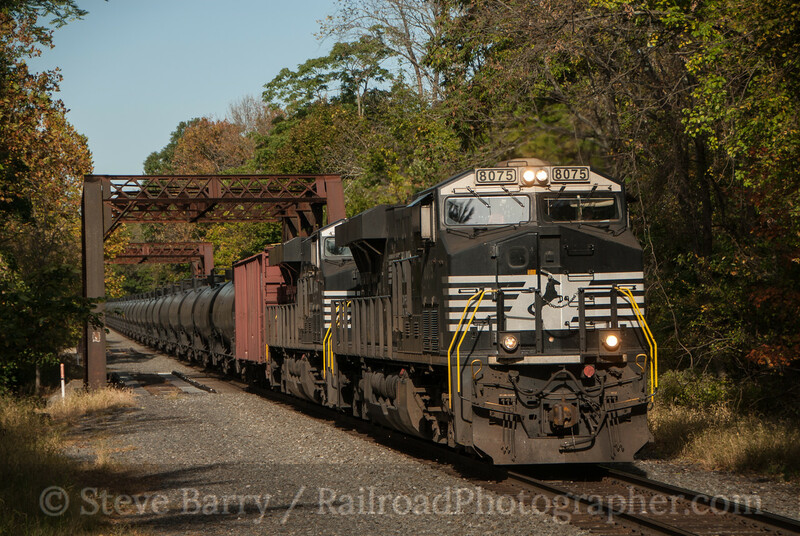 Each has it's own assignment and does its work as quickly and efficiently as possible; each crew takes interchange traffic down to Norfolk Southern, and by mid-afternoon the railroad is usually finished for the day. 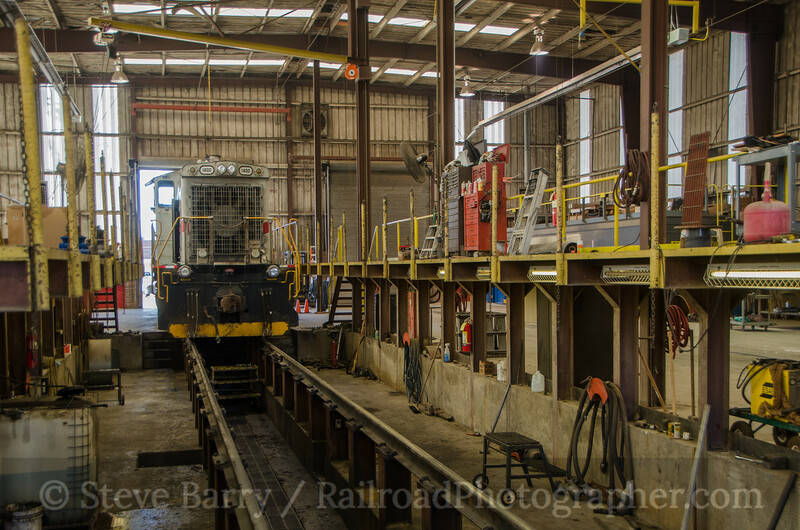 We also got to see the railroad's complete roster in the shop area, including four SW1500s, one SW1200 and two slugs. From here we ventured back to the Georgia Central and continued our trip. But we had a fantastic time on the Sandersville and look forward to getting back there for a visit again soon. 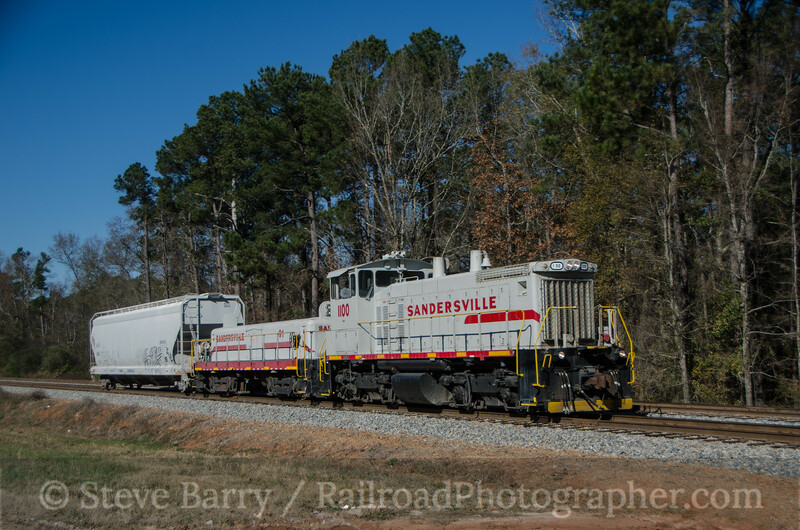 You can find more Sandersville photos here. 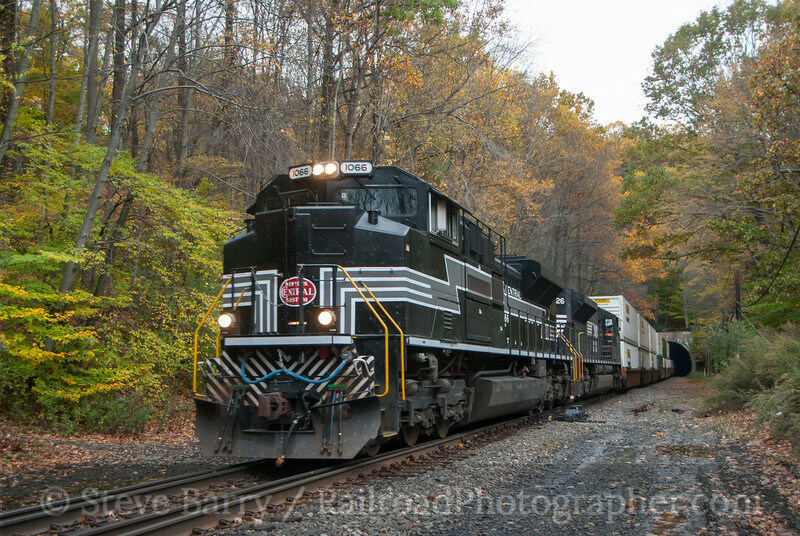 Over the course of this past autumn I got to explore the most local busy railroad to my home, Norfolk Southern's route across New Jersey on the former Lehigh Valley Railroad. 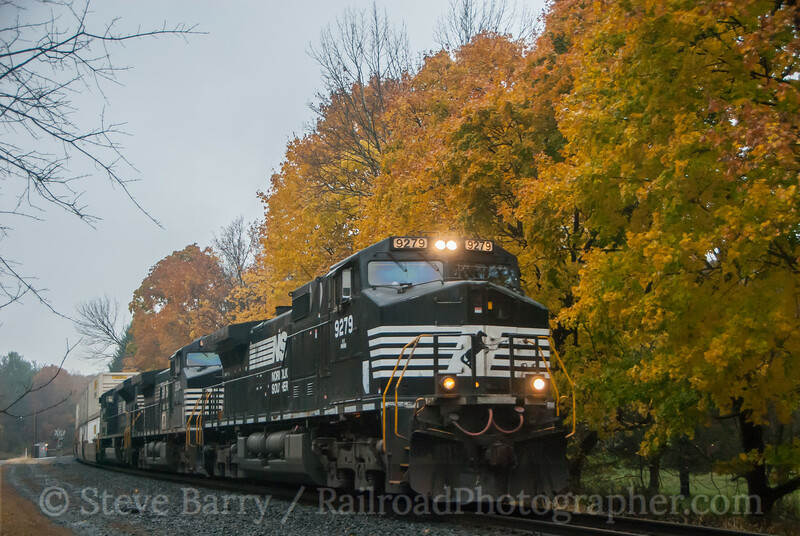 With gas prices falling, local day trips became a bit more economical, so I made the one-hour drive down to NS's Lehigh Line a few times as the leaves turned. We'll take a geographic look at the line, starting just across the Delaware River in Easton, Penn., where we see a westbound train on the former Lehigh Valley passing under an abandoned bridge that once carried the Central Railroad of New Jersey across the Lehigh River. Now we'll get into New Jersey. 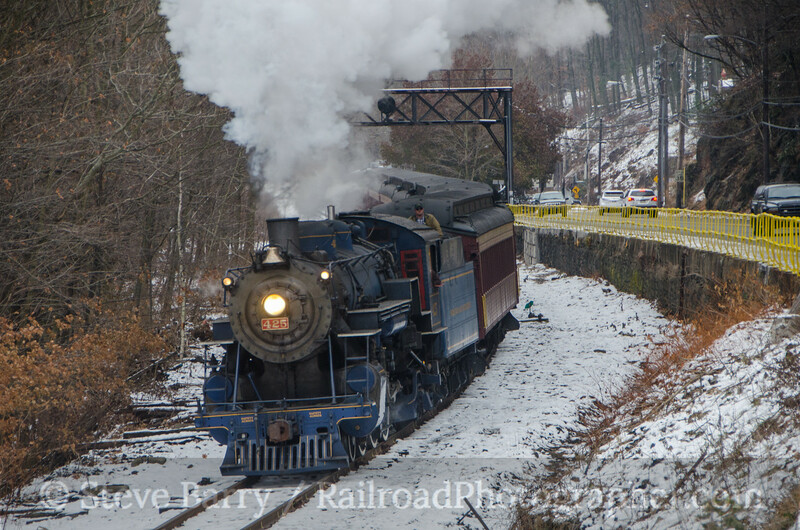 Coming up from the Delaware River, trains are digging into the grade up to the summit at Pattenburg Tunnel (top photo in this blog) as they pass through Bloomsbury. Two nice overhead bridges provide good views in both directions here. On a rainy day in October we look the other direction at Bloomsbury as the local train from Allentown, Penn., heads back west. At Jutland there is a nice overhead bridge, where we see an oil train passing underneath. 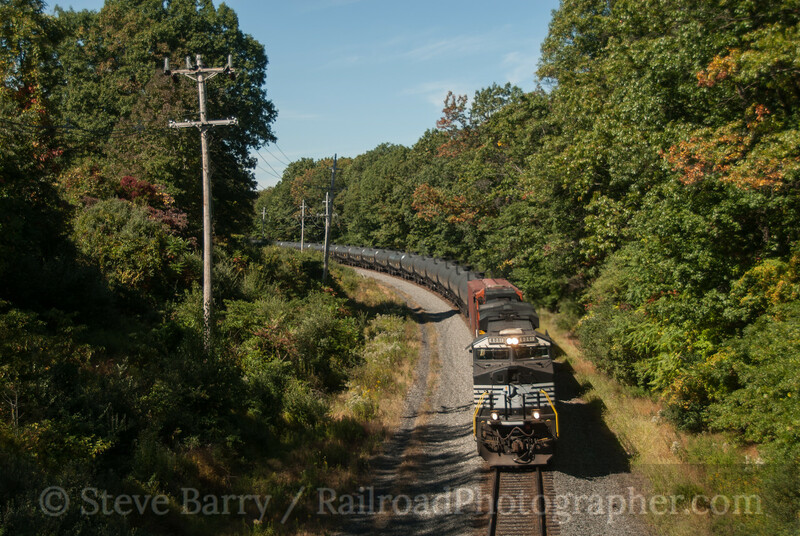 Oil trains have really added a lot of traffic to the Lehigh Line. An overlooked location is Hamden, located in the woods west of New Jersey Route 31. The Lehigh Line passes through back-to-back truss bridges here, crossing the Raritan River (westernmost bridge) and Cramer's Creek (near bridge in the photo below). 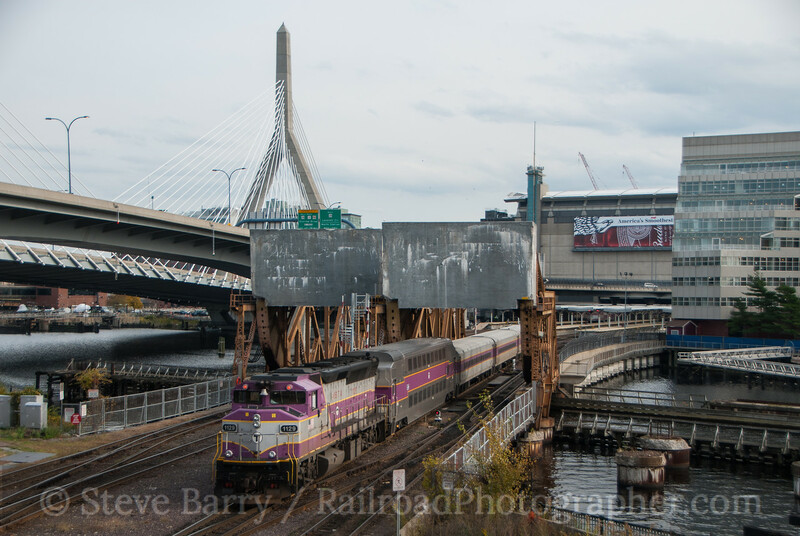 Another oil train heads east through the two bridges. Downtown Stanton Station (which consists of a general store and not much else) is a good place to photograph eastbound trains in the afternoon, as the tracks curve southward here to provide good lighting. 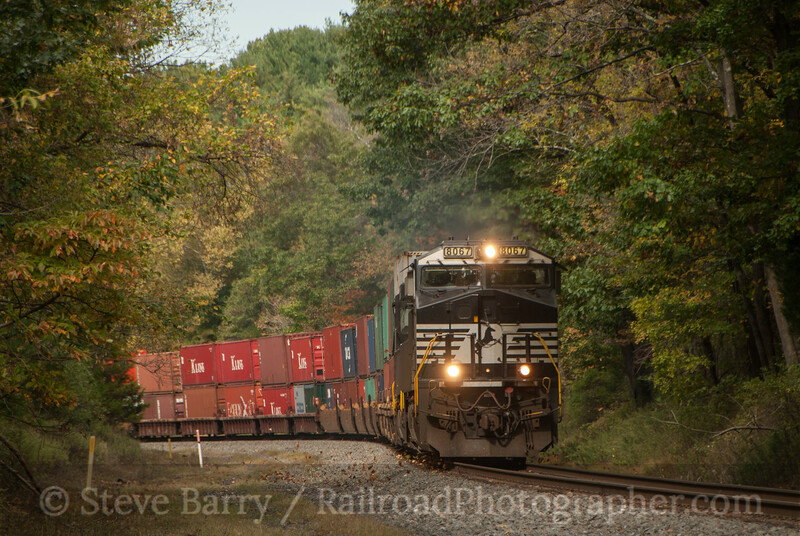 A stack train snakes through the S-curve just north (railroad west) of the town. 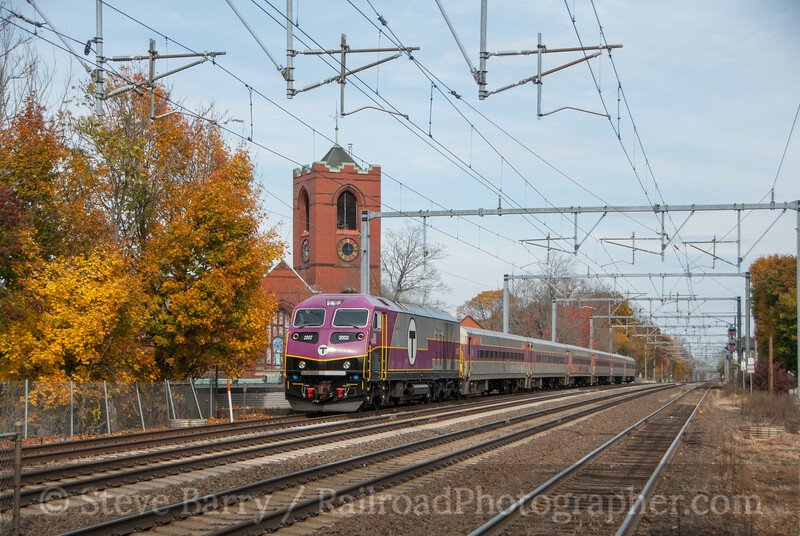 Just south of the grade crossing in town, we find a stand of late autumn color hanging in there. A stack train rolls through on it way east. Just ahead is a passing siding where meets often take place, so there can be a lot of action in a short time at Stanton Station. We'll head just a few more miles east for our last shot. 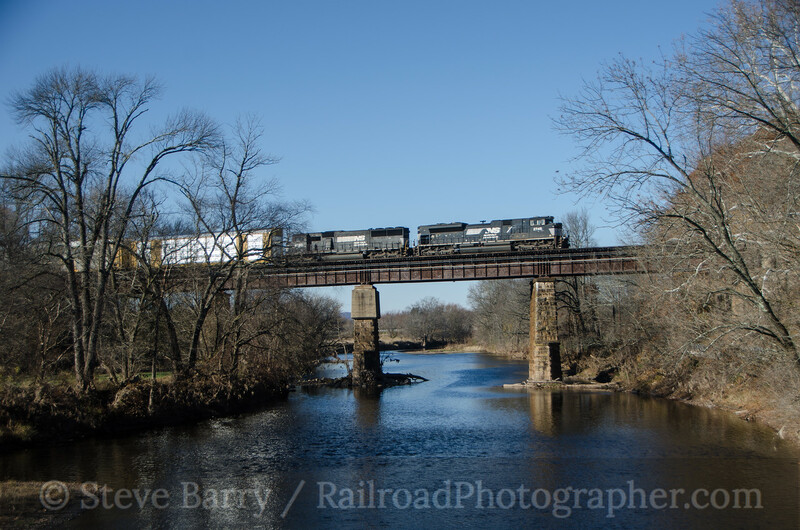 Here we find an eastbound train crossing the Raritan River at Neshanic Station. 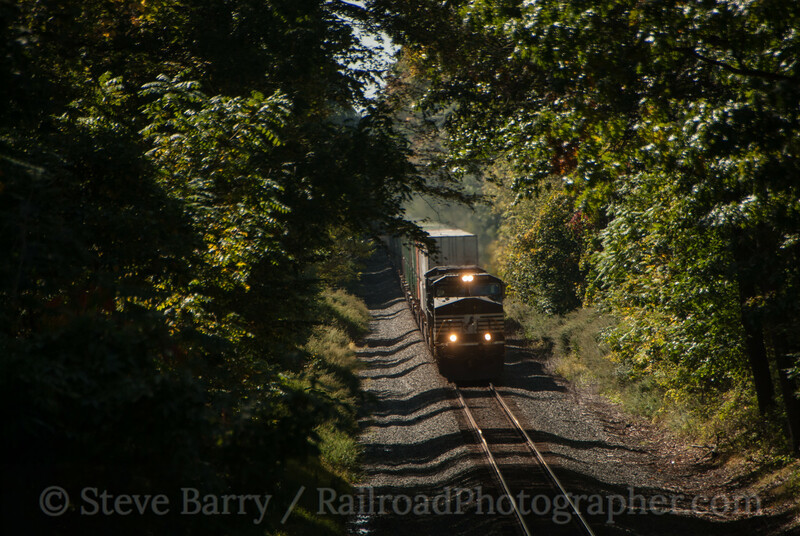 The train has some more rural running to do before it starts entering suburbia on its way to the yards and refineries near New York City. And we'll conclude with a story about the top photo in this blog. On a rainy day word got out that two of Norfolk Southern's heritage units (a total of 20 units painted for the predecessor roads that make up Norfolk Southern) were coming east. 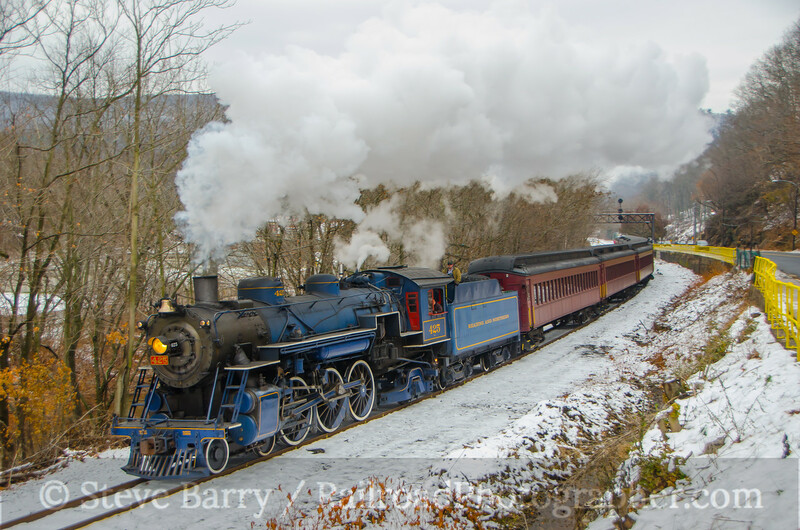 One of the two heading this way was painted for the Virginian Railroad, the other for the New York Central. The Virginian was a rugged mountain line and I thought a shot of the Virginian unit coming out of Pattenburg Tunnel would be appropriate. 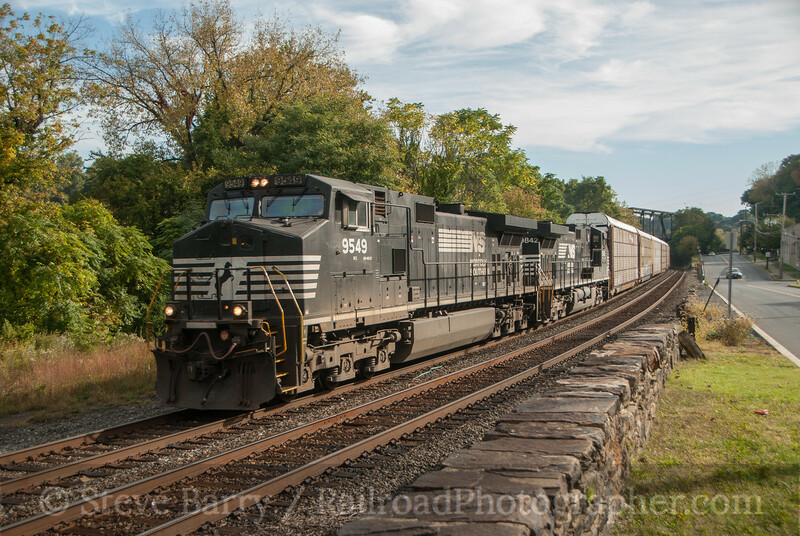 I had a friend who was monitoring the progress of the Virginian unit through the Lehigh Valley in Pennsylvania and I knew the New York Central unit was on a train about two hours behind. I timed it out carefully and walked in to the shot at Pattenburg Tunnel about ten minutes before the train was due. I waited for the train... And waited... And waited... After about an hour my friend called to say the train (which was carrying oil) went into a siding near Bethlehem, Penn., and would be sitting there indefinitely because the refinery (across New Jersey) already had a train unloading there and there was no room for another train. By this time I was pretty sure the New York Central-led train was only about 30 minutes away, so I waited in the rain for it. Sure enough, it did show up right about when I guessed it would, so the top photo of this post is really just a consolation prize photo. Back in November I had a chance to visit a city I've spent way too little time in. 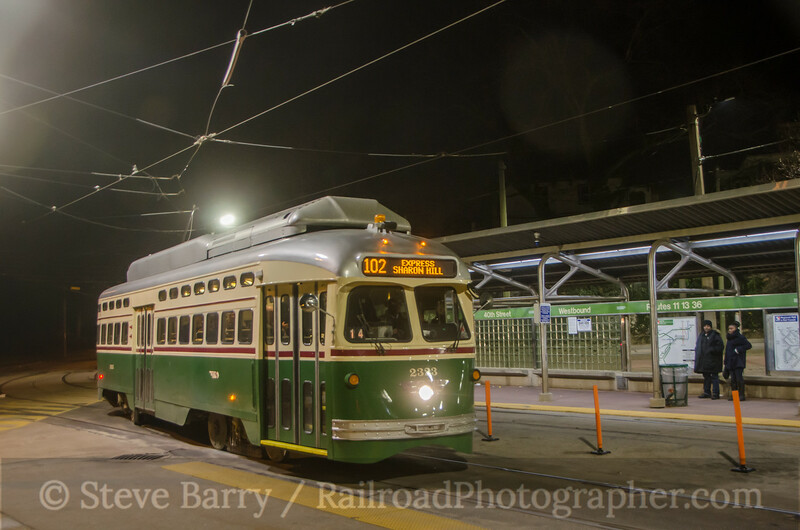 Boston has a diverse transit scene, and I've photographed the streetcars and rapid transit in the past. But my coverage of the commuter railroads operated by the Massachusetts Bay Transportation Authority has been rather thin. On November 9, 2014, I spent a day tracking down some of those operations, along with Mike Burkhart. 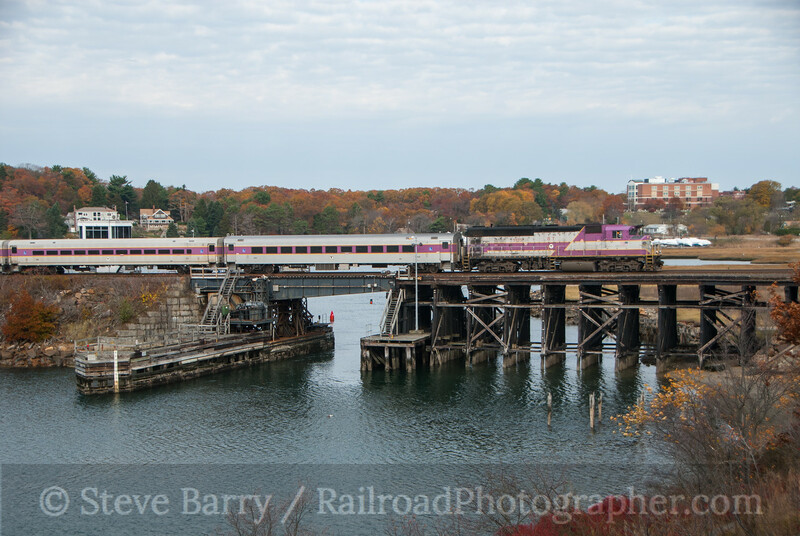 We were coming down from Maine that morning, so our first stop was near the far end of the Rockport line at Gloucester, Mass. The marshes along the coast provide plenty of causeways and bridges. We got an outbound train here. After looking for some angles near Logan Airport around Revere and Chelsea and not finding much, we headed south of the city along Amtrak's Northeast Corridor, which is also used by MBTA trains heading to Providence, R.I. We caught an inbound train at the Attleboro station pushing towards Beantown. The tower in the distance is, sadly, inaccessible. 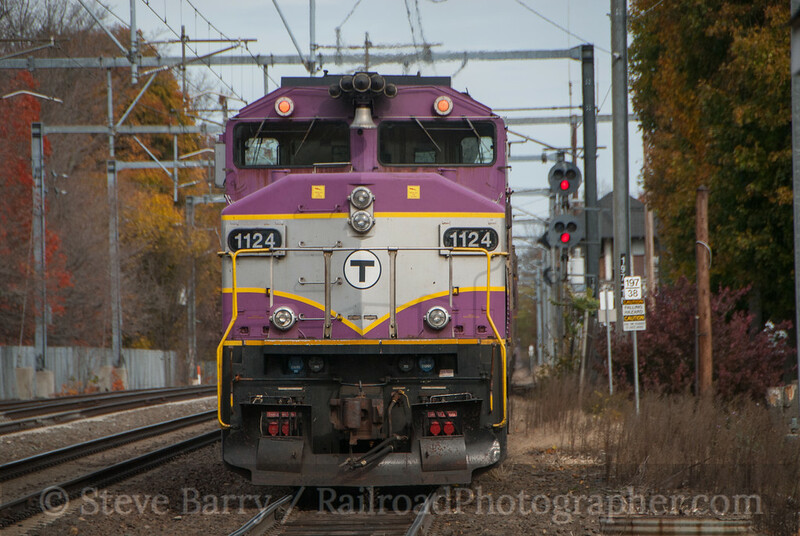 One of MBTA's newest locomotives, HSP46 No. 2002, led a southbound train through the station. The last remnants of fall foliage were clinging to the area. From here we entered the Big Dig under the city and emerged across the Charles River from North Station. A pedestrian bridge over the yard throat made for a nice vantage point, although some design elements of the bridge limited some of the angles. 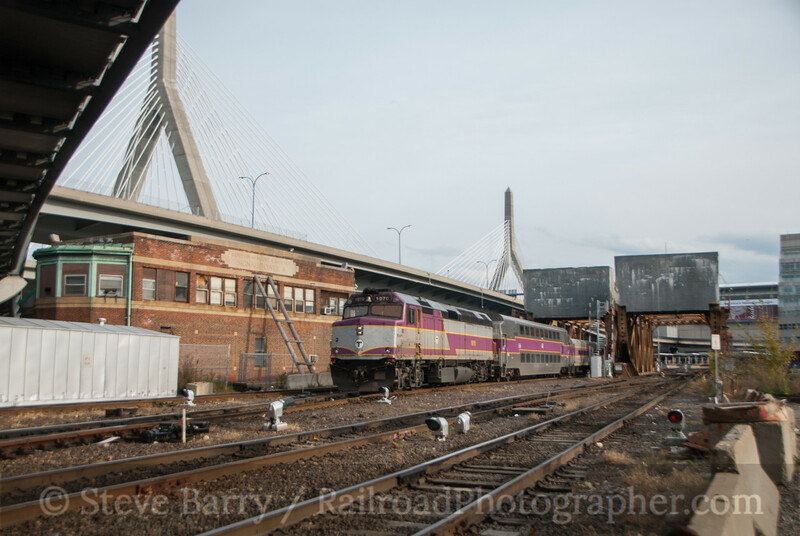 Just beneath the pedestrian bridge is Tower A, which still controls some movements in and out of the station, as well as the moveable bridges over the Charles. 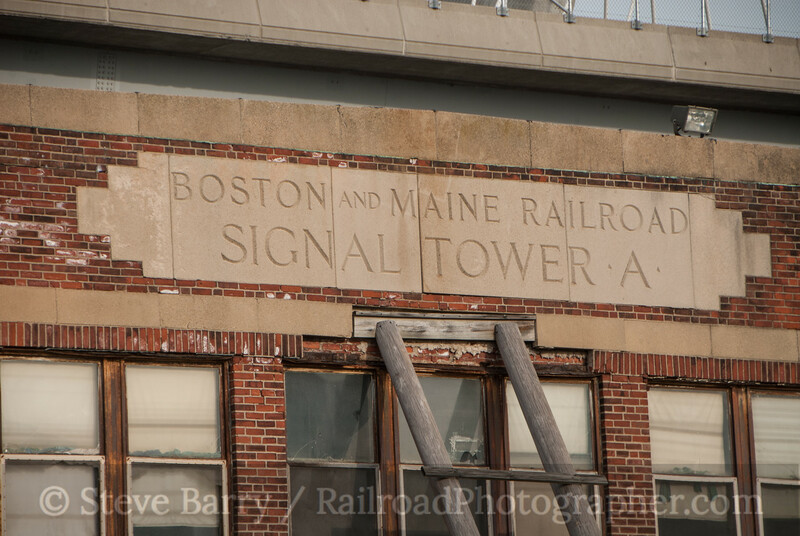 Tower A still has the name of its original owner cast in concrete above the windows. The vantage point is adjacent to North Point Park, and adjacent to the park is the MBTA Green Line rapid transit bridge over the Charles. 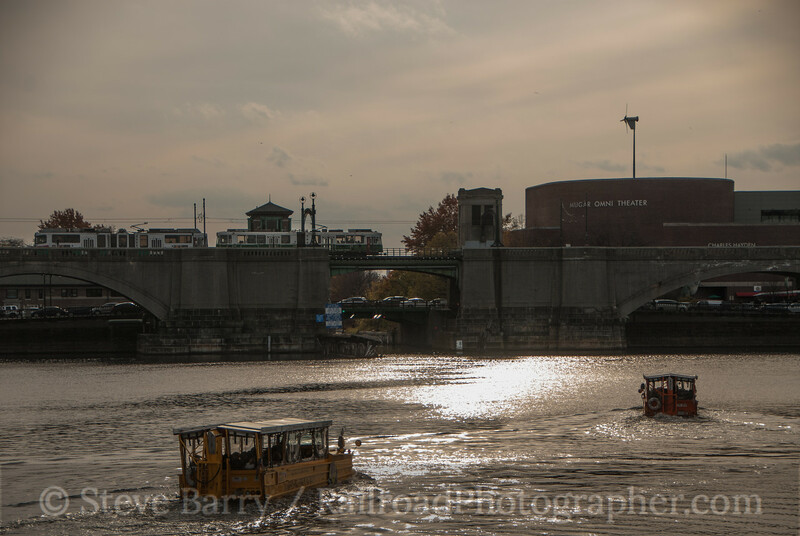 Boston's Duck Boats enter the river directly beneath the footbridge, so there seems to always be one of the amphibious crafts around. The Science Park station is adjacent to the light rail bridge over the river. 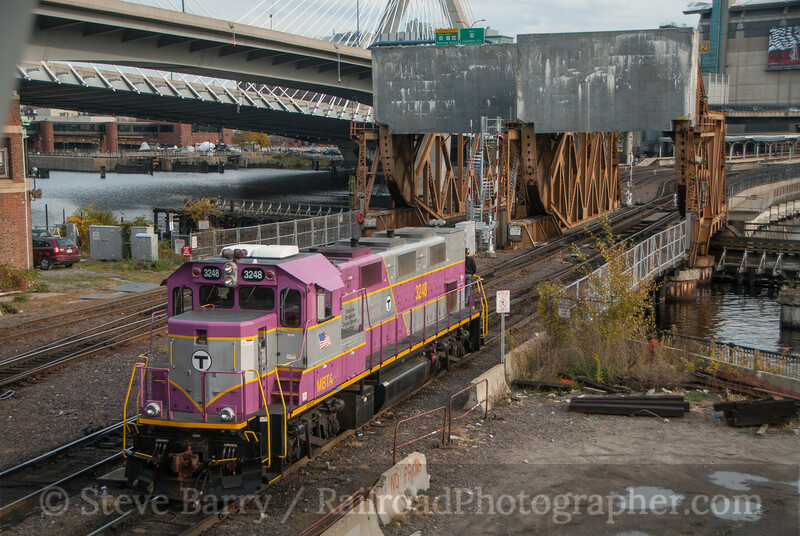 While we were there, one of MBTA's eco-friendly "genset" locomotives made an appearance. 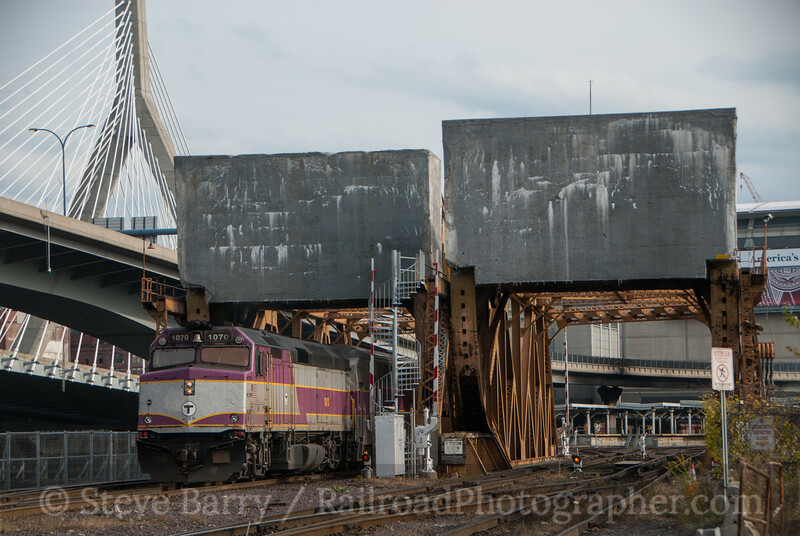 MBTA has a shop just northwest of North Station, so there are always deadhead moves under the pedestrian bridge going back and forth between the shop and the station. 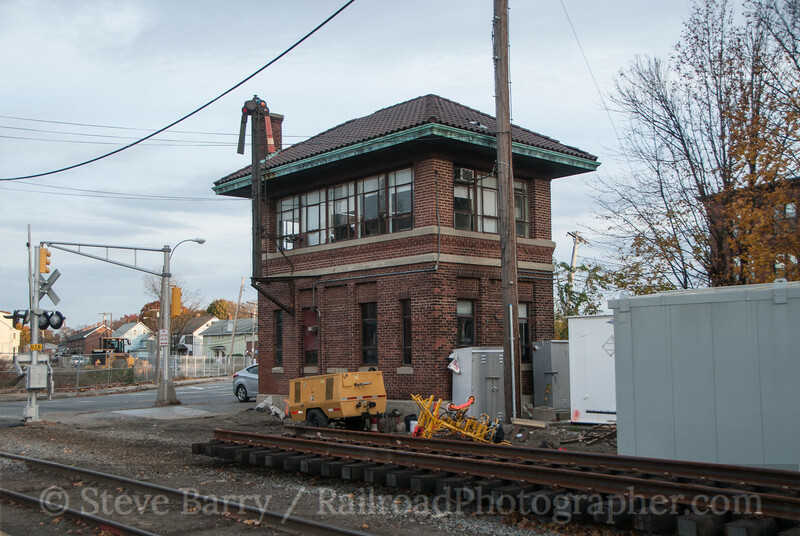 The last stop of the day was at Waltham on the Fitchburg line, where a tower still stands. There was a lot of track work going on -- so much, in fact, that service was suspended on the line for the weekend, so we didn't see a train here. The tower closed fairly recently, and one has to wonder if the new track work might mean the end of the tower. This day filled in some gaps in my MBTA coverage. But it also showed I need to get back to Boston again soon. 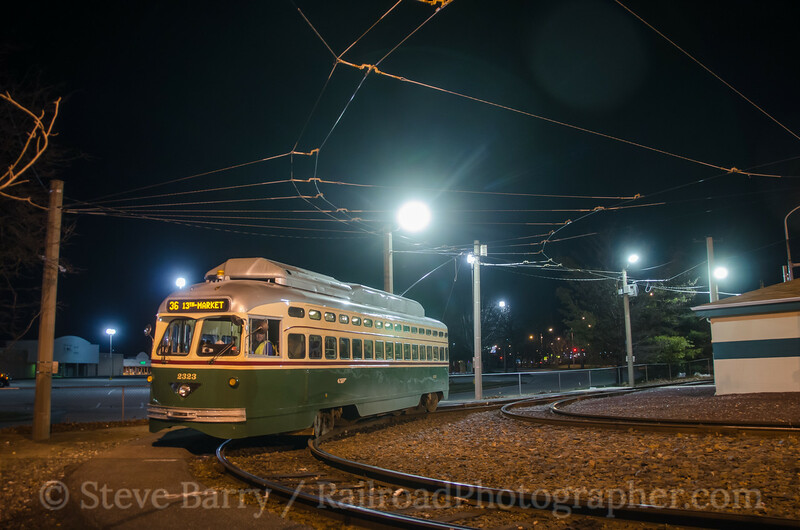 There is a lot to see along the MBTA's commuter lines. More photos from this day can be found here. 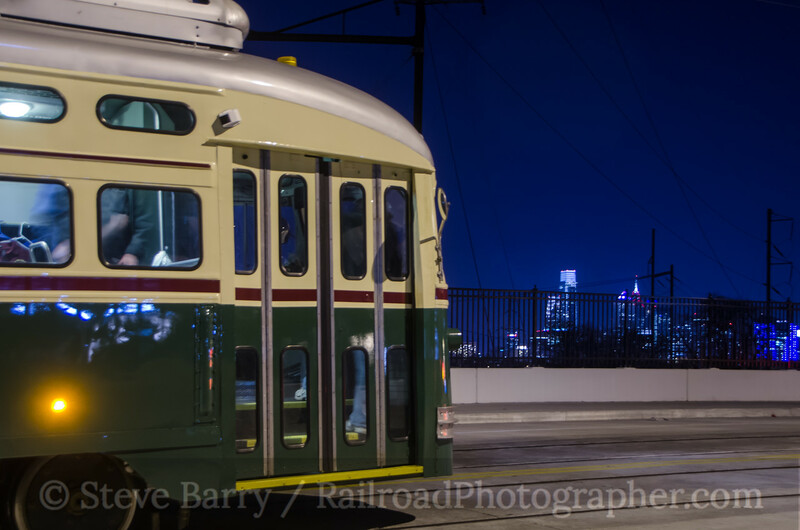 On New Year's Eve I had the pleasure of once again riding the annual trip sponsored by the Friends of Philadelphia Trolleys on a SEPTA streetcar in the City of Brotherly Love. 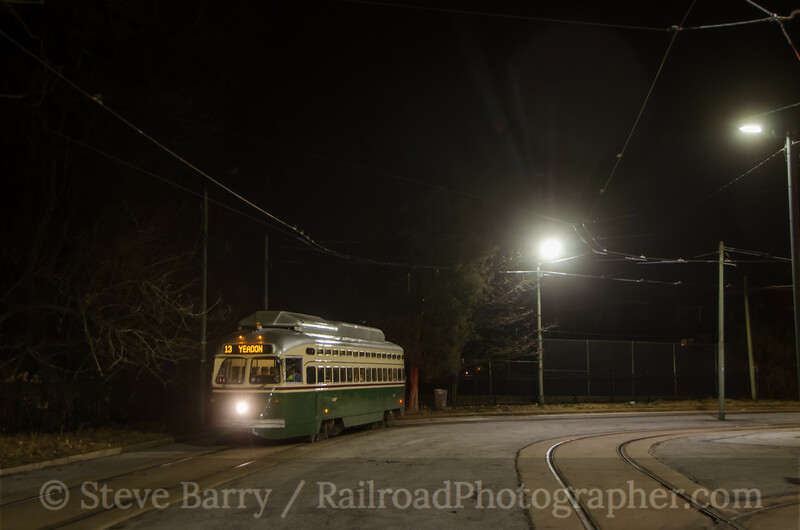 Getting to the Callowhill Depot, the base for SEPTA's Route 10 and Route 15 streetcars, there were both PCC-II and Kawasaki cars parked out front. A quick peek inside showed both types of cars undergoing some quick maintenance. 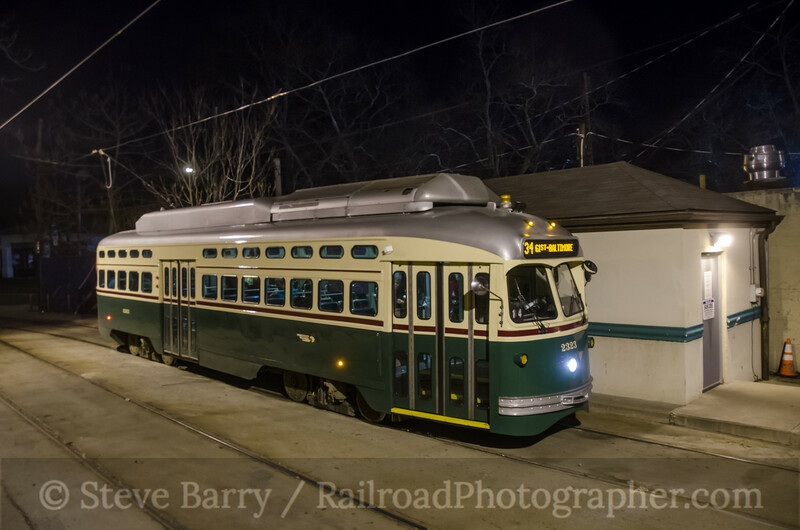 Our streetcar for the night would be PCC-II No. 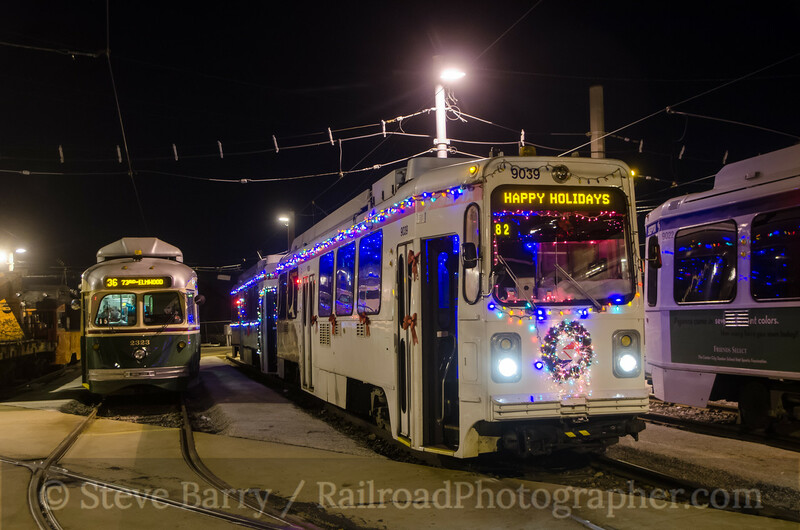 2325, decorated for the holidays by SEPTA operator Gary "G-Man" Mason. The main passenger pickup point was Malvern Loop at the end of Route 10. Unfortunately, when it came time to leave Malvern Loop, No. 2325 didn't want to start. 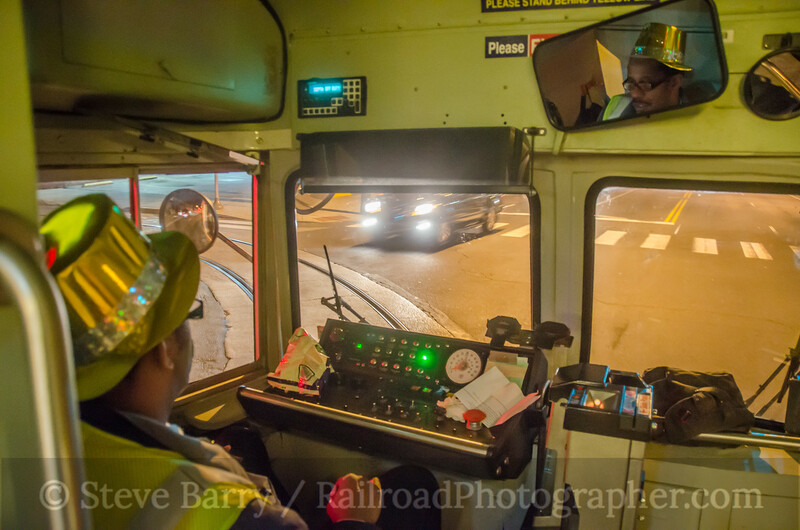 Gary Mason (who was operating this night) returned to Callowhill in a SEPTA truck and brought No. 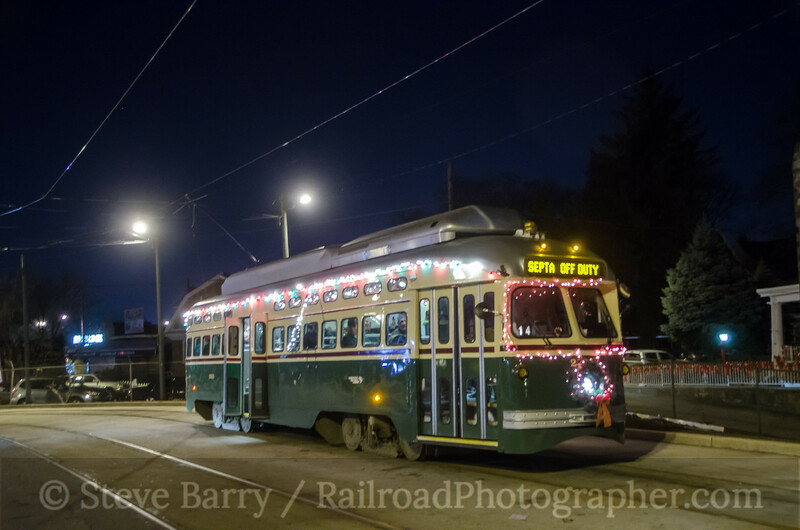 2323 out to Malvern Loop where all the passengers switched streetcars. Once the transfer was complete, we were underway. Our first photo stop was on the diversion trackage at 40th Street to get the city skyline. Here's another view of No. 2323 during the photo stop on 40th Street. From here it was out Route 34 on Baltimore Avenue, with a photo stop at the Angora Loop at the end of the line. We pulled into the station at the 40th Street Portal to the Center City tunnel just before midnight (below and at the top of this post). 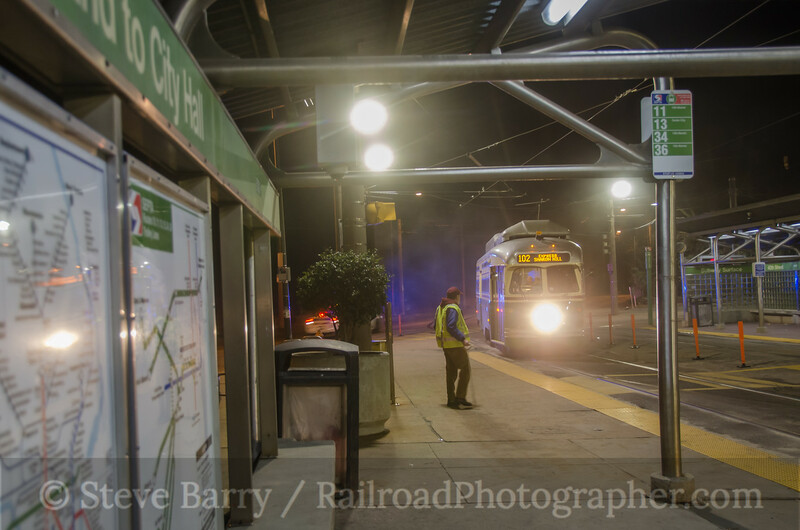 PCC-II cars are not allowed in the tunnel, so from here we turned back onto the southwest Philly routes in the wee minutes of January 1, 2015. Heading out Route 13, we briefly left the Philadelphia city limits and entered Yeadon, with a photo stop at Yeadon Loop. 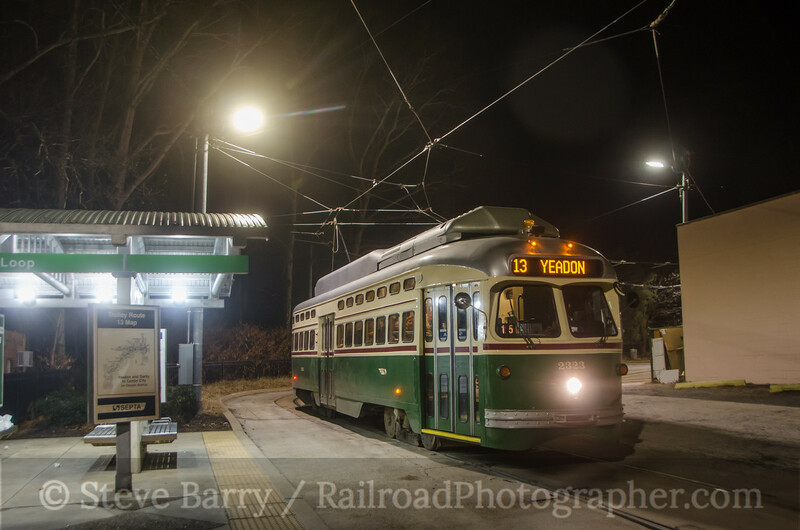 We then departed Yeadon Loop to continue into Darby before returning to within the limits of Philadelphia. The shot below is departing Yeadon. 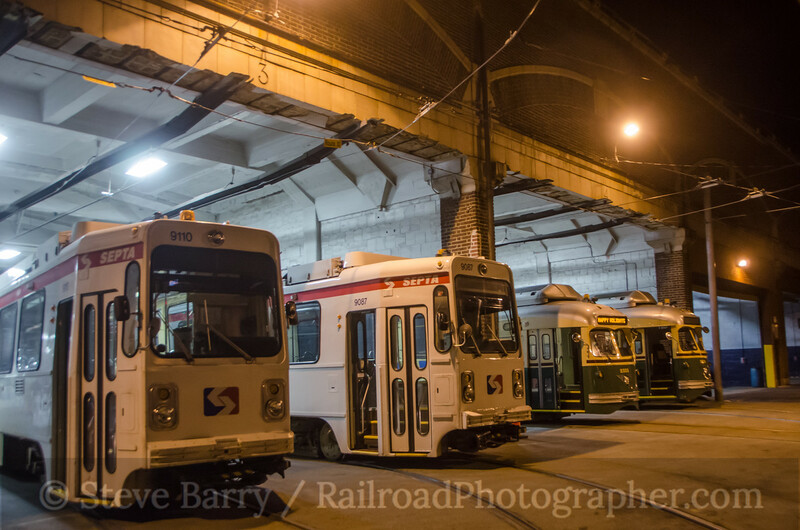 Next we headed into the Elmwood Depot, the base of operations for the southwest Philadelphia routes. Both of the Kawasaki cars decorated for the Elmwood district were laying over in the yard. The final photo stop was made at the end of Route 36 at the Eastwick Loop. From here we headed back to Malvern Loop and then back to Callowhill Depot. 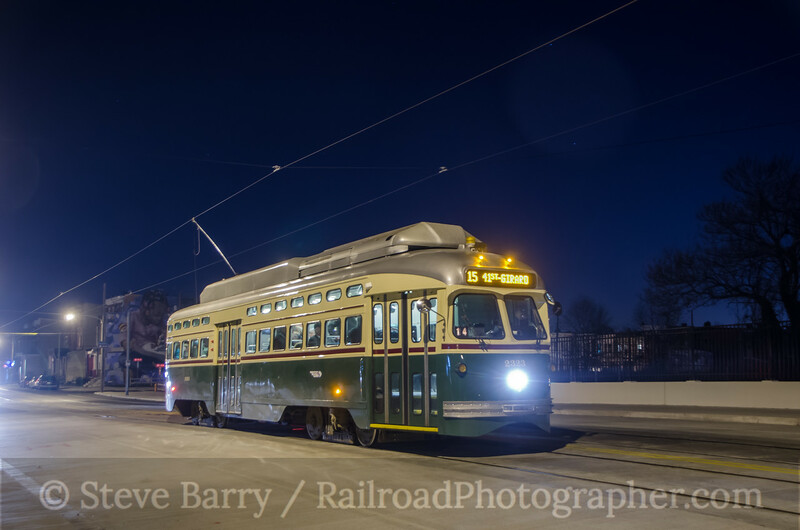 Our last shot shows operator Gary Mason as he guides the streetcar off 63rd Street and onto Girard Avenue on the last portion of the trip. More photos from this trip can be found here. The story of last year's trip with a Kawasaki car can be found here. And you can go back to New Year's Eve 2013 by clicking here.